It’s been too long since we’ve done a developer interview here at Droid Life, and you won’t believe how many emails and tweets I get asking that we bring it back. When we ran a poll on which custom ROM users were using on their OG DROID, I saw that the majority of readers were using Project Elite, even more than CM7. I knew that I would soon be reaching out to the developer for an interview, and here it is. Greg (“Actngrezy”) was a pleasure to chat with, and we’ll definitely be keeping good track of his future releases for all our readers. We’ve heard nothing but good coming from P.E. users, so be on the lookout for it if you haven’t already tried it. Tato: So can you introduce yourself and give everyone here the run down on what it is you do? Greg: My name is Greg Maahs and I go by Actngrezy or Greg, I develop a custom rom that goes by the name of Project Elite for the original Motorola DROID (Good ol’ trustee). I would also like to point out that mojo_droid is a co-developer of P.E. and there are others that help as well. Tato: Ahh, yes. Project Elite is very well known in the OG DROID community. How long have you been developing for the DROID? Greg: I got the DROID in Feb of 2010 and couldn’t help but notice everyone talking about rooting and having features that weren’t available with stock software so I began to research and dabble about a week after purchasing, but did not actually begin to really do anything as far as ROMs until July which were just tweaks for myself and a select few friends. Tato: So how did you learn about making ROMs and doing tweaks? Do you have a background in development? Greg: Well at first I was just making tweaks and edits to the OTA software and leaks. I started reading day and night, bought books, and more books. I read everything I could online from more knowledgable people and couldnt keep myself away. Then after releasing the first version I realized I needed to build from source if I wanted to actually do anything that would be interesting. At first I had help from different members in the community getting started. Liquid was there to help me and show me alot about compiling from source. Other members from the android community like Koveleski, Gurluvsdroid, Cereal Killer, etc helped me get P.E. off the ground and continued to help and support the project. From then on I just kept up with reading about Android, Java, and trial and error of course. I didnt have a background in mobile platform development but went to school for computer science so I had the basic c++ and other courses that helped me a little but nothing as far as developing anything like Project Elite. Tato: That’s wonderful! When I talk to our readers about Project Elite, they have nothing but nice things to say. What do you think makes P.E. different from the many other different custom ROMs available for the DROID? Greg: Thats a tough question. There are so many great ROMs and developers out there. I honestly never expected P.E to even come anywhere near as far as it has. Especially with ROMs like CyanogenMod, LGB, Simply Stunning its hard to even think P.E. can compare to any of those. I think one of the main differences is that I feel like P.E. is a team effort. Without the support from others like Gurluvsdroid who’s always around on the forums to help out with questions, help from other developers at times, Mojo_droid who helps with development and maintains the website,many others on the forums who are always around to help and users who voice their input Project Elite wouldnt be what it is. I definitely try to read and see what the users want as long as it can be implmented without impacting the performance of the ROM. I try to include their feedback and suggestions into the ROM so I think those are the factors that help out a lot. Tato: We love a good team effort around here. Where do you think the future of your developing is going? Anything new on the horizon? Greg: I would like to expand and build for other phones/devices. I would have already but I really feel like I should have the phone that I develop for. If I have the phone, I can test for something specific or need to log something or throw something in and I have the device then I can. If I do not have the device then I’m relying on someone else which isn’t a bad thing but I feel more comfortable if I could do the intial testing. The worst is releasing something that has problems which could have been prevented. I am eligable for upgrade but just waiting for the right phone to come along or if I got my hands on an older phone then Project Elite would expand. Tato: So expanding and developing on more phones is your goal. That’s great. So is this a full time job for you, or do you have day job and this is the hobby? Greg: This is a hobby. It would be nice to do this fulltime. Actually this is going to sound kind of funny but I am now a plumber. I fell into an opportunity for decent money a few years ago and while I would love to move back into the computer field, for now I am a plumber. I have been working alot lately which hasn’t allowed me much time to play with Android as much as I would like to, but a recent job change will open up more time for me to work on Android stuff again. Tato: Oh wow. Well everyone needs plumbers. No flack there. What did you do before your current occupation? Greg: I worked at General Motors. There was a plant where I live but all the plants on the East Coast started to close which forced all the younger people out of a job because everyone with senority moved to the plant I was working at. Of course I was one of those younger people so I was out the door. Tato: And how old are you? Greg: I will be 29 in August. Tato: Is there anything you wish Android had which you think it lacks currently? Greg: Not so much Android, but maybe Google to enforce their open source policy on manufactures and carriers. I just don’t feel its fair that they can take an open source platform and try and close it down. While I know this is probably about politics and money since they are a business but it would be nice to see. While that wasn’t so much an answer geared towards features and Android, that is the one thing I would like to see happen with Android powered devices. Tato: Well, in closing, is there anything you would want to say to the readers, or anyone else reading? Greg: Well I’d like to thank everyone that helped make Project Elite possible. Without the developers from the Cyanogen team, and people like cvpcs, p3, Birdman, b16a2smith, JRummy, Droid Life, forums and others that are in the forefront of the android developing community android wouldn’t be what it is today. Also with these people and others such as Koveleski, Gurluvsdroid, Mojo, Liquid, Peter Alfonso, Cereal Killer and many others Project Elite would not have been possible. Especially the users, themers, etc. I wish I could name everyone. 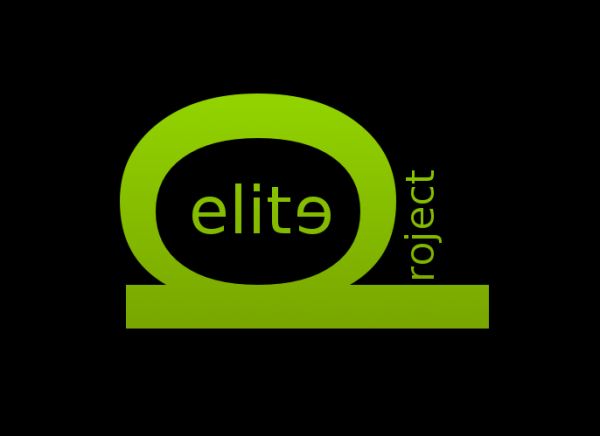 I would just like to thank everyone for all the help and support Project Elite has received and I hope to continue to bring great roms and contributions to the Android community as a whole. If you wanna know more about Greg and stay up to date on Project Elite, follow him on Twitter. More importantly, if you’re a DROID owner, check out the Project Elite ROM. Thanks again everyone for all of your previous feedback concerning developer interviews. If you would like to request/submit an interview then just email me at timotato at droid-life dot com.